HELLO from Edmonds Towers in Great Marton and thank you for visiting. I worked for years on the local Gazette newspaper as a journalist and still write a column published on Thursdays. At the end of each column I always make reference to what is now my main working interest but was, for many years, only a passionate hobby - writing fiction. Over the years I have written several novels. These were partly inspired by unusual places and interesting people met while working on newspapers in different parts of this country and overseas, mainly in the Far East and Australia. However, it wasn't until I took early retirement that I had the time to polish these up and do my best to get them published. The results you can see on our Books page. Readers around Knott End in Lancashire will get a first-hand view - at my next books reading and signing date, on Thursday, September 27, from 2pm. It's at the local library of that outpost of our beautiful Fylde coast. My books are fairly varied, with a little local history and some humorous memoir, which people will hopefully find entertaining when I read short extracts or include them on our Way Over Yonder page. Then there are the novels which some attending the reading will take home, or you may order online. I hope those bring people even greater pleasure. Some are set here on the Fylde, or close to Lancashire's Irish Sea coast in North Wales, the Lakes, Manchester and Cheshire. Others have a wider cast, in Hong Kong, Thailand and Australia. In many of the books there are diverse locations and, I hope, a rich mix of colourful characters. 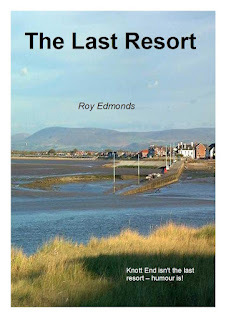 Knott End even figures on the cover of one, The Last Resort. That, I'm afraid, is the extent of the tiny resort town's role in the book. But I wanted that picture on the front because the view from the Esplanade across Morecambe Bay is so spectacular. 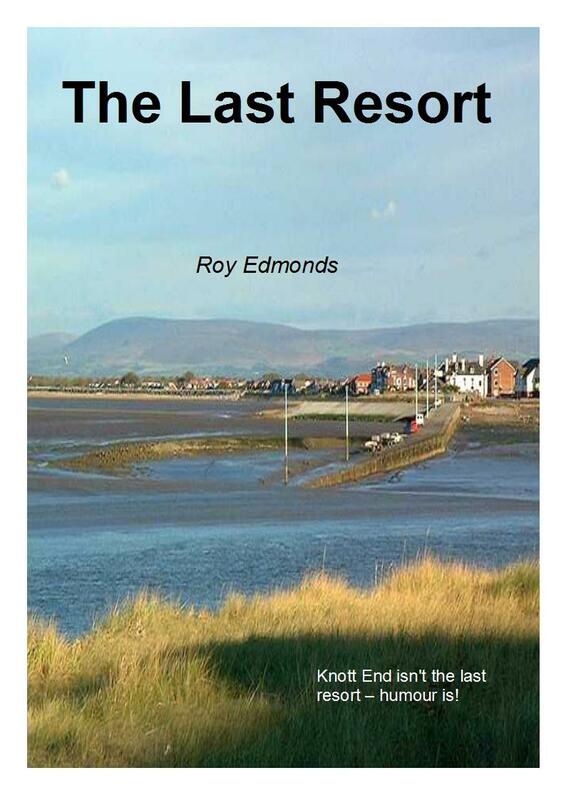 That book, a collection of humorous memoirs, attempts to remind us that neither Blackpool nor remote Knott End are the last resort, humour is. Often that is all there is left when everything else seems lost, yet it keeps us fighting on. As the president of the Far East branch of the Roy Edmonds Appreciation Society, I can wholeheartedly recommend Life of Bliss, which flits engagingly between the Fylde coast and Hong Kong, with a few stops in between. It's a cracking read that induces a feeling of well-being similar to that experienced by those taking a bracing walk along Blackpool's seafront.